From designers, brands, bloggers, stylists and celebrities, Fashion Week is a major deal. Not only is it a place where collections are displayed and trends are discovered, but also it serves as message to what’s “in” and “out” of fashion. The most prominent fashion weeks are held in the key fashion capitals of the world: New York, London, and Milan then Paris. Though the majority of press coverage is in one of the major places, other weeklong fashion events are held in cities around the world. Whether you’ve been following a runway show live or seen pictures days after, Fashion Week can be stressful yet rewarding for any designer. In particular, sometimes a designer will showcase a collection they have been working on all season. But reluctantly so, as soon as they display their current work, the designer then has to immediately begin working on their next collection. One pressing issue that has been flooding the fashion industry is the lack of diversity. Just the other day, model/artist Ashley Chew made a statement with a “Black Models Matter” bag. Designer Zac Posen and model Shaun Ross were amongst the many seen wearing the walking symbolism. The lack of diversity is a reoccurring problem but for designer Ashish Gupta, his point of view is simple: inclusivity, celebration and fun. For his fall/winter 2016 collection, everything was big, bold and glittery. From sequined crop tops, maxi-skirts, cowl neck mini-dresses and tracksuits all in monochrome colors, the show was nothing short of fashion forward. Gupta was able to glean inspiration from a rainbow and a box of crayons he owned as a child. Both the clothes and presentation of the show are important, but so are the atmosphere and casting. Gupta had the ability to incorporate diversity in a way that may be peculiar to other designers. “This show was a celebration of color and not just physical color, but of people,” he says. “I always have a mixed casting, I believe in a mixed casting. We live in a mixed world—why do people ignore that? I love all different types of people. Everyone is beautiful. I find it hard not to appreciate the beauty in everybody,” he told Refinery29. 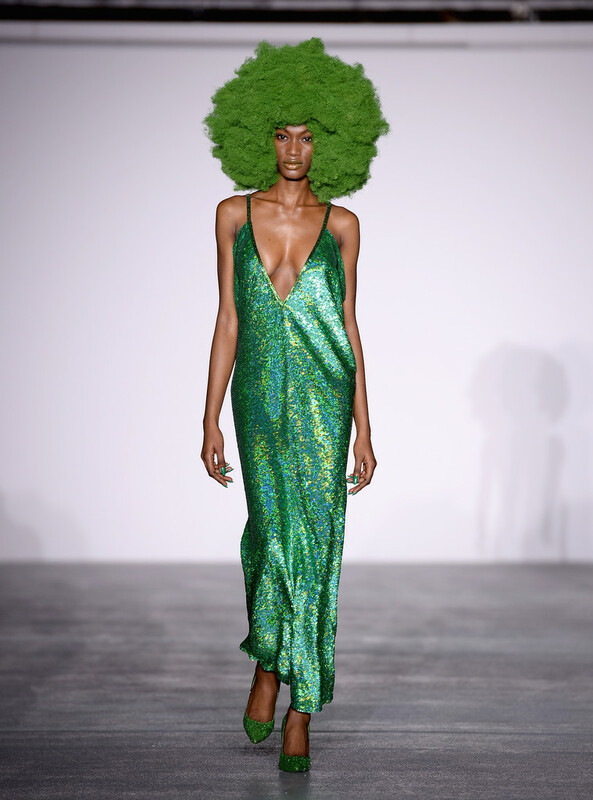 Yes, there were women not of color wearing Afros in Ashish Gupta’s 2016 collection, but that shouldn’t be the point. 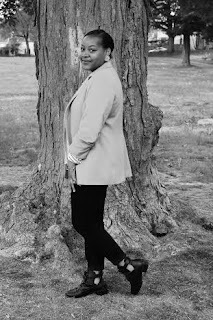 In essence, diversity and inclusion is a common trend not seen both on and off the runway. Check out some of the stunning looks from Ashish Fall/Winter 2016 collection! 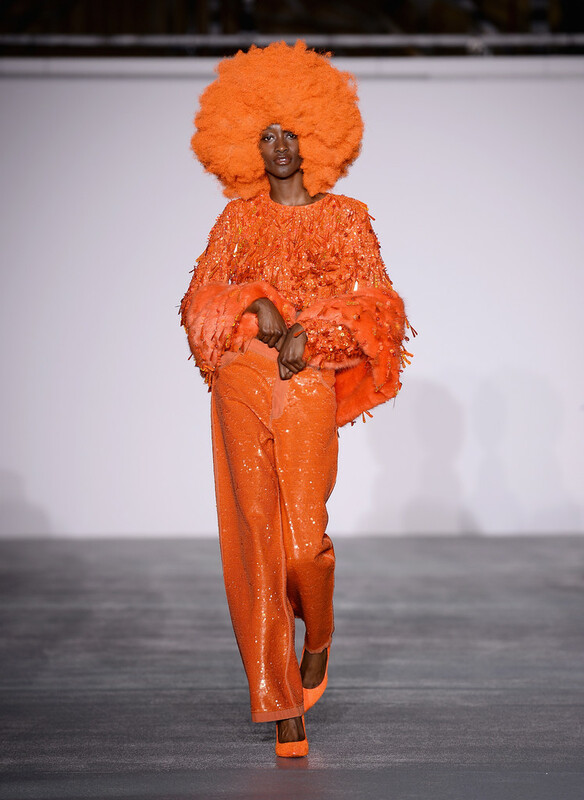 What are your thoughts on designer Ashish Gupta us of colorful Afro's on the runway? Let us know in the comment section below!